Veteran's Day Activities in the Atlanta Area. Monday, November 11th is Veterans Day. 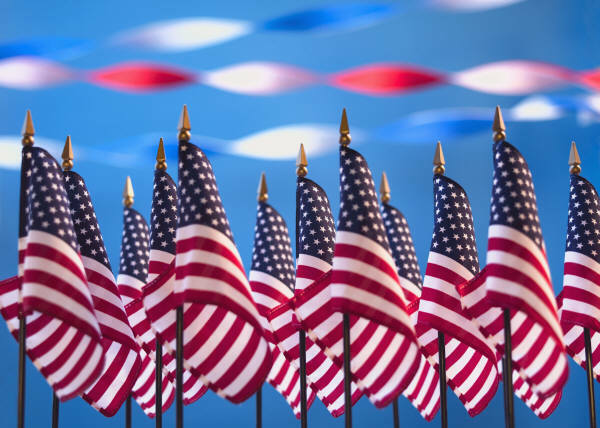 It is a day set aside to honor the armed services veterans who have served our country and who are currently serving in the military in places around the world. Veterans Day officially started in 1954, when President Dwight D. Eisenhower signed a proclamation to set aside a day to honor veterans of all wars. This was at a time when the United States was still recovering from World War II and the Korean War when many of our young men fought in battles around the world. 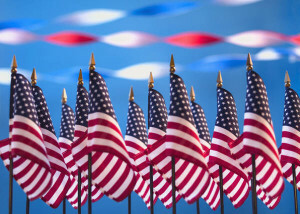 Today, the day honors veterans from all wars and times of service in times of war and times of peace. The date of November 11th was picked as the day for Veterans Day because it is the day that the Allied Powers signed the cease-fire agreement with Germany ending World War I in 1918. The agreement was signed at the 11th hour on the 11th day of the 11th month. Around the world, the day is called Remembrance Day. There are many community events and activities for honor veterans on November 11th. Check with your local community for wreath laying events or parades. The largest event in the Atlanta area is the 32nd Annual Atlanta Veterans Day Parade, which is being held on Saturday, November 9th. Downtown Atlanta will be transformed into a parade route for this day. The parade will step off at 11:11am at Peachtree Street S of Ralph McGill/Ivan Allen Blvd. You can see the route here. The parade is put on by the Georgia Veteran’s Day Parade Association of Atlanta. The paraded is funded by the variety of sponsors including Georgia Power, Lockheed Martin, Turner, Georgia Aquarium and more. The theme of this year’s parade is: “Honoring Korean War Veterans and all who preserved freedom.” There will be marching bands and military units, special dignitaries, and more. The Grand Marshal for the parade is Brigadier General Charles E. Getz. Many Atlanta area attractions will be offering special military discounts for active and veteran service members and their families. The Georgia Aquarium and World of Coca Cola is offering discounts to active and retired military personnel. Local and national parks will have free admission for military members and veterans at Callaway Gardens in Pine Mountain, GA and Chattahoochee River National Park. Storage World salutes and honors our military veterans and current active duty military members. Storage World gives a 10% discount to active duty military personnel. We thank you for your service!